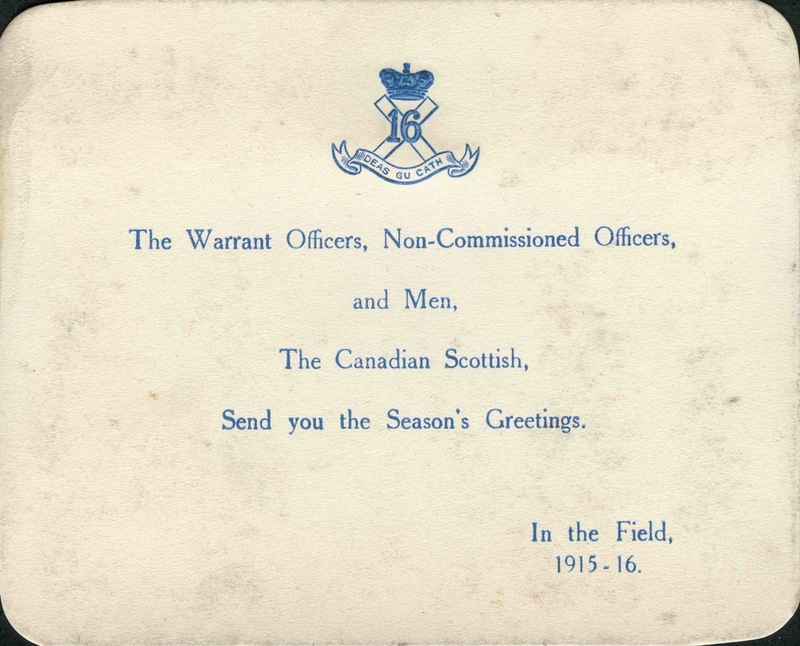 A simple Christmas card saved by Private John Denholm of the 16th Battalion Canadian Scottish and pasted into a scrapbook after the war. Denholm joined the 79th The Queen’s Own Cameron Highlanders of Canada in Winnipeg before the war and sailed with the 16th Battalion (Canadian Scottish) to England in October 1914. Denholm survived the 2nd Battle of Ypres, including the assault on Kitchener’s Wood, and the fighting at Festubert before being seriously injured in January 1916. After a long convalescence in England he returned to Canada aboard HMHS Letitia in late June 1917. Christmas comes early – The British Colonist Online!